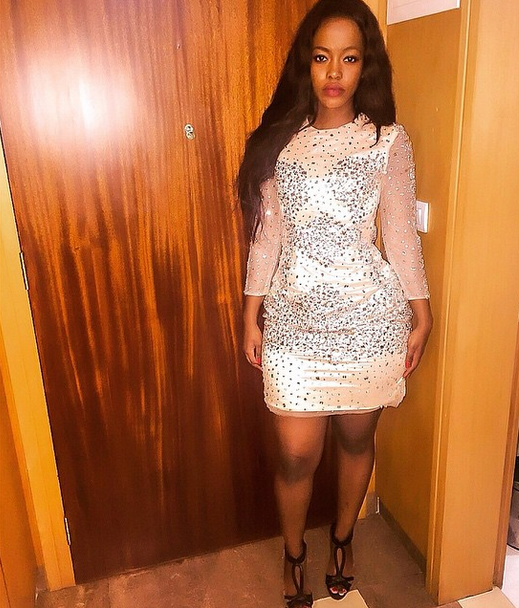 Unlike Vera Sidika who runs around chasing for big guys with cash for her stuff, Corazon Kwamboka seems to have a stable boyfriend who provides for her everything she needs. Corazon who has been flaunting expensive dresses and classic hotel visits, is also looking a bit composed and relaxed like she has found a permanent place. Through her Instagram page she recently shared a photo wearing some expensive dress and bragged how her boyfriend got it for her.